If you are not a fan of plastic and other artificial materials, going with shoe storage cabinet in pine or any other type of genuine wood will help you create a natural and warn environment in your home. 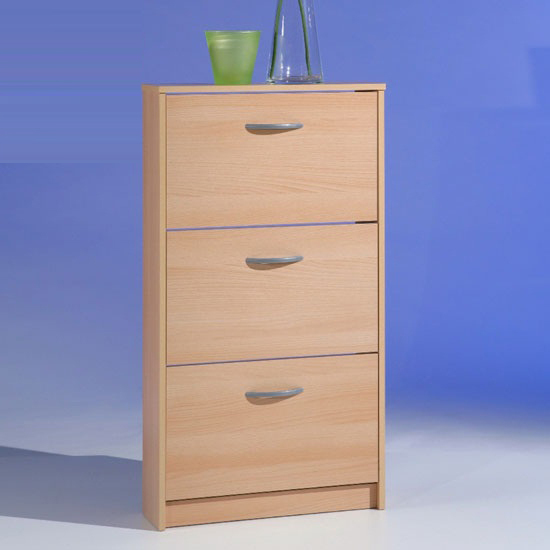 Shoe storage cabinet in pine features a very durable build, and assembly quality is usually high. While working with genuine wood, furniture manufacturers hardly ever compromise on build and fixation parts quality. Pine, in particular, is one of the best and the most durable wood types in the furniture market. The final shade of your shoe storage cabinet in pine will surely depend on the processing technology, as well as on finishes. Still, natural pine shade is generally very light — with a couple of slight variations. This is a very stylish, neutral and — what is even more important — unobtrusive interior decoration hue. Even though ideally you should stick to the same wood types within one room, pine can also be combined with some other wood types that feature a similar shade. Oak and birch are good matching examples. And, of course, it looks amazing with a variety of other interior colours and materials. Properly polished and processed genuine wood, pine included, does not require any special care. 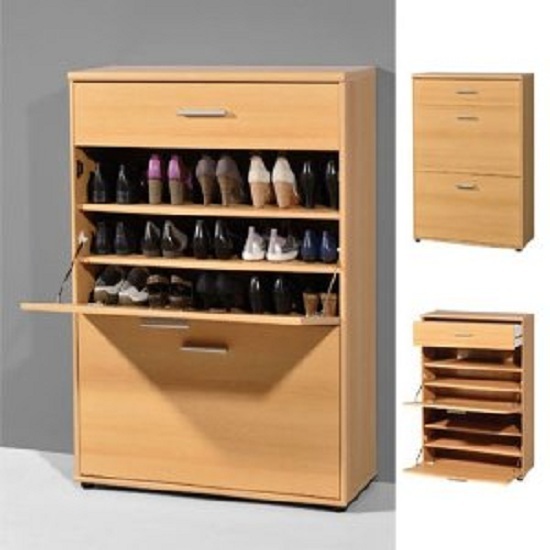 If you are looking for a furniture piece that can be left as is, shoe storage cabinet in pine is definitely one of such solutions. The bottom line — pine cabinets are built to last, which makes sense, given that wood is one of those solutions that remain in our homes for decades. All in all, practically any wooden shoe storage cabinet — pine, oak, or ash — will feature all of the benefits described above. Plus, genuine wood is one of the trendiest furniture production materials in 2015 collections, so if you are a fan of warm, classic interior materials, now is the right time to get them. No doubt, pine, like any other genuine wood, will be more expensive than MDF, but if you shop at big stores, you will be able to find quite a lot of affordable deals. In the UK, Furniture in Fashion is one of the best platforms that can offer you genuine wood furniture at an affordable cost. This leading e-commerce store works directly with some of the best furniture manufacturers, which surely accounts for the highest quality of very distributed piece. If you would like to see that with your own eyes — feel free to visit company showroom in Farnworth.